What is an early career researcher, or ‘ECR’? You might consider yourself to be an ECR if you are an undergraduate or postgraduate student if you are studying for a PhD or have recently completed (within five years of working full-time or part-time equivalent from your highest degree) or similarly if you are new to this research field. Through your membership, we are able to strengthen our programs and develop innovative new projects. Please note, that the ECRs will enjoy a year’s membership free, upon validation of their ECR status by the Subcommittee Chair, in the second year of their membership. Prospective members need to be nominated by a current member. If you do not know any current SSM member, then please fill in the form below and we will contact you for further information. All other enquiries regarding free membership should be addressed to the SSM membership administrator by emailing ssm@hg3.co.uk or by calling 01423 529333. Office Opening times are 9.00 am to 5.00 pm, Monday to Friday (excluding public holidays). Every so often we catch-up with some of most established and respected academics in our field and in good old ‘standing on the shoulders of giants’ fashion, we ask them about their experiences, opinions and recommendations with regards to a career in social medicine. 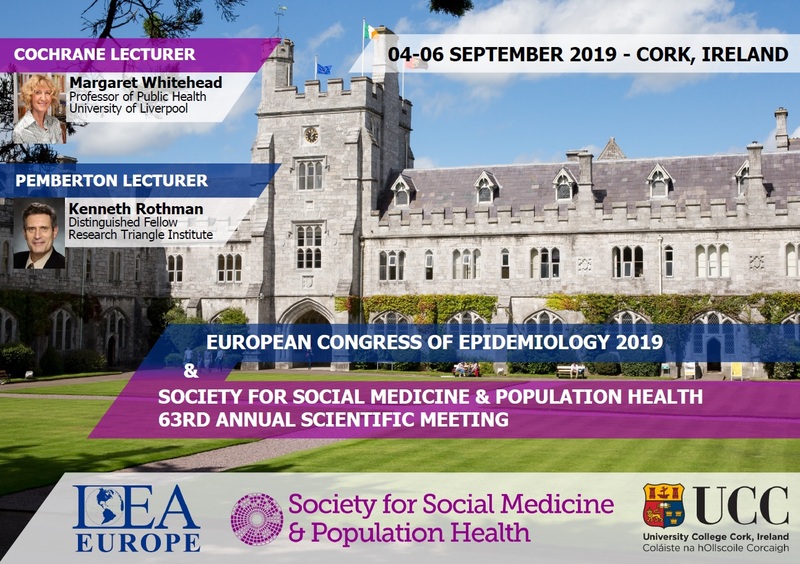 We are currently working on a proposal for the creation of a network platform that is aimed to enhance the social and research network for members of the Society for Social Medicine with a special emphasis on integration and promotion of SSM Early Career Researchers (ECRs). In the current technological age where information is only a simple press of a button away, people connect to each other on a myriad of platforms, such as LinkedIn, Twitter, Research Gate, Instagram or Facebook. These networks are powerful not only in bringing connections into an online domain but also in introducing people with similar interests to each other via interest groups and mediated introductions. SSM, as an academic Society, could harness the power of the social networks to create depth and enhance community experience. In the long run, a network platform that is based on research interests of the SSM members can become a foundation for further development and integration of interactive technology in the future. For more information, please contact Janice Atkins. We set up the ECR Gig Trail as a way for ECRs to give each other chances to visit and speak at different institutions e.g. by organising a lunchtime seminar where a couple of visiting ECRs can talk about their work. Please sign up if you are interested in organising and/or giving a talk. You can contact any ECR member who has signed up for the ECR Gig Trail based on the topic or related interests. The SSM Committee has kindly agreed to offer us funds to support travel within the UK to the ECRs members of the Society. Once such an event has been arranged, please don’t forget to email us the details so we can promote it within the ECR Community. The challenges facing early careers researchers in the UK and globally have long been recognised. The Society for Social Medicine is addressing this critical issue by releasing a Welfare Statement to several of the National broadsheet newspapers. Read the statement published by Professor Simon Capewell, President for the Society of Social Medicine, on behalf of its members. We hope that this will provoke and inspire discussion and debate, and lead the way to a positive change in working conditions for early career researchers. If you would like to read the Welfare Statement in full, please visit our ECR Welfare section here. The ECR Subcommittee was set up in 2009 with the purpose of representing the ECR members of the society. ECRs are the future of SSM and it is important that they have a voice in the Society. The Subcommittee meets regularly to discuss matters relevant to ECRs, keep in contact with ECRs through the dedicated email accounts and ECR survey as well as provide specific services to them (for example, the jobs list and gig trail – see below for more information). The Subcommittee acts on a rolling basis where each member serves a term of three years and new spaces are made vacant each year by departing members. It’s a great opportunity to network with senior academics, peers and colleagues, and to get involved in discussions about the future of the research in this field. If you fancy standing for a position on the Subcommittee, make sure you look out for the email call towards the end of the calendar year. You must be an SSM member at the time of the election. If you are not signed up to the ECR e-list, please email to ecr.ssm@gmail.com to be added on. If you have ideas regarding ECR activities, how to involve ECRs within SSM, the content of the ECR web page or anything else, we would love to hear from you. Email us to make a suggestion or join our e-list. You can also follow us on Twitter @ECR_SSM. We conducted our first SSM ECRs survey during February and March 2015 in order to find out members’ views on a range of ECR issues, as well as to find out more about the members themselves. The survey was 32 questions long; it was anonymous and there were no incentives for taking part. It was open for responses for one month and was advertised by the ECR Subcommittee in our newsletter and on social media. The results are summarised here. As you can see, there are some interesting findings: many of you feel that you face instability are over-worked and not adequately supported. SSM and ECR Subcommittee will continue to take an interest in your views and we are planning to improve what we offer our ECR members to try to tackle some of the challenges faced. Thank you for all your input and participation. The ECR Subcommittee of the SSM run an email service to send out job notices to ECRs. If you are an ECR interested in receiving notification about vacant positions in social medicine, just send your contact details to ecr.ssm@gmail.com to make use of this service. Equally, if you have a vacancy you would like to advertise to ECRs, please send your job description to ecr.ssm@gmail.com and it will be circulated to all those that have signed up.